Manage and maintain your own ski area in the Swiss Alps. 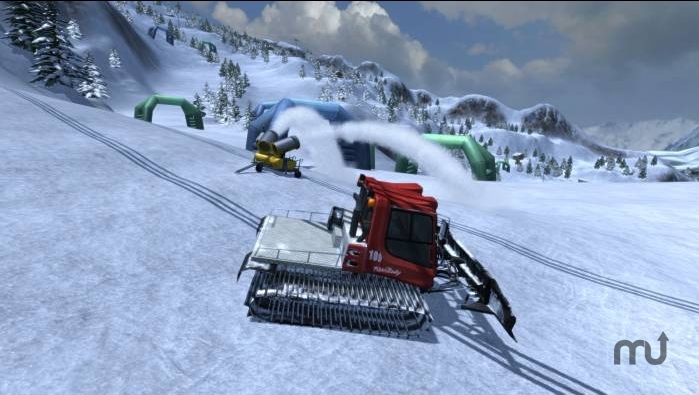 Is there a better alternative to Ski Region Simulator 2012? Is Ski Region Simulator 2012 really the best app in Simulation category? Will Ski Region Simulator 2012 work good on macOS 10.13.4? Ski Region Simulator contains all the excitement and detail of managing and maintaining your very own ski area in the Swiss Alps. In the career mode you enter a unique and large winter landscape and experience the workaday life in the swiss alps in a completely adapted and freely accessible world. Through several activities you build up financial resources allowing you to buy better equipment. Thanks to the cooperation and official license of Kässbohrer you take control of authentic Pistenbully snow groomers. If the variety of machinery does not meet your needs, you can download plenty of vehicles, equipment and other modifications from the Internet. Because of the improved mod system you are able to install the new content easily and automatically.